Martyr---otherwise known as Jason 3:3---is one of hundreds of clones kept in a remote facility called Jason Farms. Told that he has been created to save humanity, Martyr has just one wish before he is scheduled to 'expire' in less than a month. To see the sky. 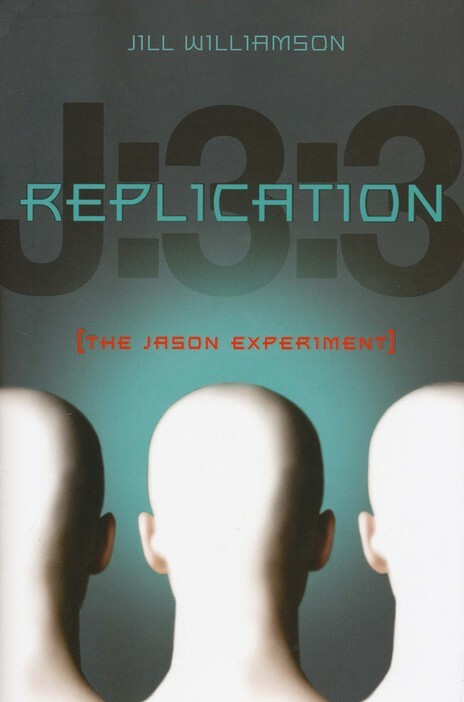 As the reality of the Jason Experiment comes to light, Martyr is caught between two futures---the one for which he was produced and the one Abby believes God created him to have. Time is running out, and Martyr must decide if a life with Abby is worth leaving everything he's ever known. This was such an exceptional book. It tackles the theme of cloning and the significance of the human soul and the human life with a vengeance. And it is filled with action and romance in the tradition of the best of YA fiction. Martyr is a clone, raised in a "farm" below the ground, among other clones. He has never seen the sun or the moon. He is told he will "expire" on his eighteenth birthday, but in a crazy moment he decides to make a run for it. You see, he wants to see the sky. He doesn't get to see the sky because it is the nighttime, but he meets Abby, whose father is one of the scientists who work at the "farm". Abby also happens to be a christian who believes in God and trusts that He will find a solution to Martyr's and her family's problems. I was completely immersed in this extraordinary story, and I couldn't imagine what would happen next. I read it complulsively within two days I think. It is written in a very eloquent style, sometimes simplistis maybe, but mostly good and very reaable. As a christian ya novel, it wasn't preachy at all, in fact I thought that the subject of the Creator and Saviour God was very discreetly and cleverly introduced. After all, a conscientous author who is a true christian couldn't possibly tackle the matter of intervention in creation of man and cloning, without bringing in the Creator Himself and His opinions on man and his soul. Last but not least, the romance in the story fit very well and was truly heart-warming. It wasn't overly done, just described enough to be believable and cute. To tell the truth, I was absolutely charmed by it. There was only one problem I had with this book, and unless the author really intended for this to be awful, it is quite a large problem. You see, the only person who didn't handle Martyr's situation right, I mean the only person out of the 'good guys', was the pastor. Now this is a general problem of our age with religious people who only pretend to be good but deep down inside are self-righteous and rotten to the core. The problem is, this pastor person was portrayed as a good guy in the book. Which was a problem. Distrusting and refusing to help another person, a kid no less who needs your quidance as an adult, and thinking only of how to take care of yourself and your own family... that is not christian behaviour. That is not even ethical behaviour. And no one ever critisized his behaviour in the entire novel. His was a religion of the surface, and his behaviour was the worst specimen of humanity there is out here. He could learn a thing or two from Martyr, even before Martyr had the chance to read the Bible. This was an incredible book, and without the preachy, stuck to convention, self-righteous pastor, it would have deserved five stars. and especially to teens who love action in their books. Also, top points for dealing with a hot and difficult subject like cloning. I received this book from the editor in exchange for an honest review.